Have you seen Madagascar? Were your favourite characters the penguins? Do you want more? Here y’are. It’s fabulous. 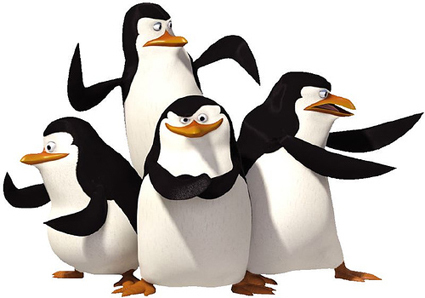 Essentially, you’ve got Skipper (Tom McGrath), Kowalski (Chirs Miller) Rico (Conrad Vernon) and Private (Christopher Knights). Private is valued for his cuteness but is not listened to for any practical skills. Then along comes the scary Dave (John Malcovich), an octopus with an axe to grind, and the penguins need to combine with the creatures of elite fighter group North Wind to save the day.